Posted in General, Our Bungalow, Westview Bungalow | Tagged inspection, southwest atlanta, west end, west end bungalow, westview, westview bungalow | Comments Off on We Passed Final Inspection!! 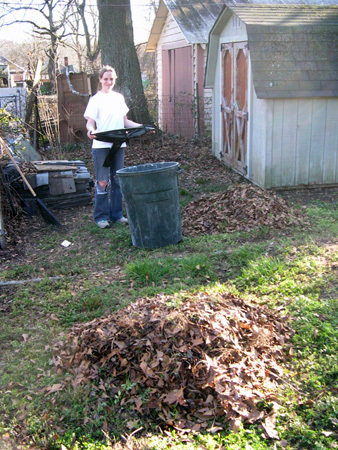 Last week and over the weekend we painted most of the kitchen built-in, cleaned the laundry room, unpacked more boxes, and raked some leaves in the front yard. I’ll post a built-in pic when we finish the last bit. 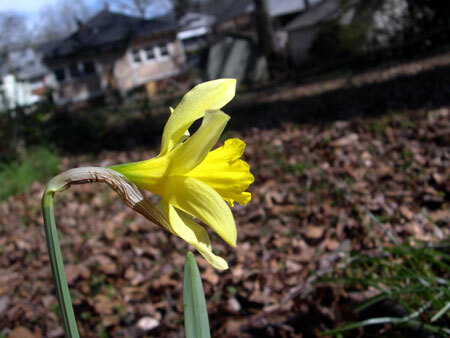 In the meanwhile we discovered a lonely daffodil at the very back of our garden. As you can also see, the background shows the grass still being covered in leaves. This coming up week is supposed to bring warmer weather, so I hope to be able to do some yard work this weekend and get the garden ready for more spring flowers! Gus and Jim were back to do some work. And though they’re not plumber’s they helped us fix a plumbing problem. 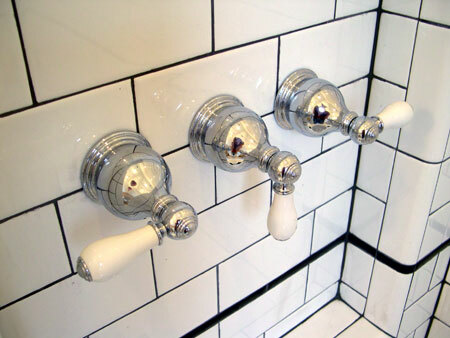 We’ve had water pressure issues for a while, and that morning the water pressure was so bad we had trouble getting the soap off our bodies. This was worse than hotel water pressure! 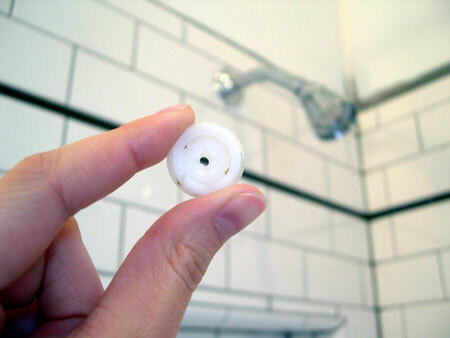 Jim took off the shower head and voila – off came this little devil piece. Look at the hole our water had to squeeze through! We threw that right on in the trash, and oh my god I can actually wash the shampoo out of my hair again! 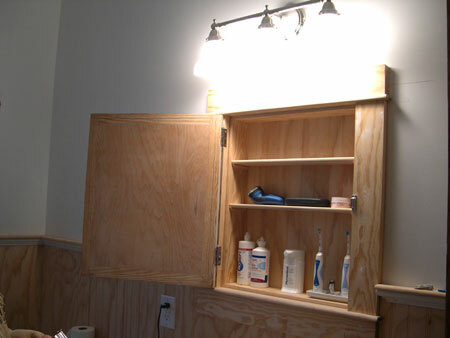 Gus and Jim installed the shelves for the bathroom built-in, finished the top off with some crown molding, and put some wood on the floor so that we won’t have to put things on the dirty unfinished hardwood that were there before. Now it looks more matching. 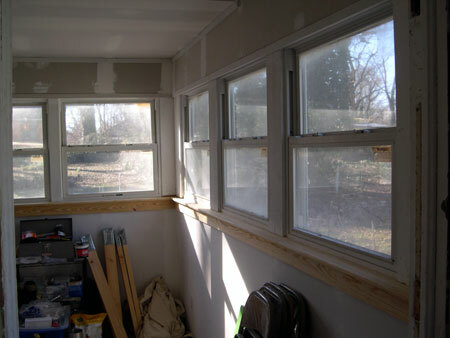 They also put little window ceils in the laundry room. 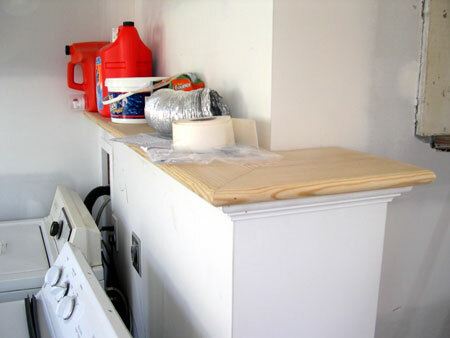 And built us a nice shelf by the washer and dryer, measured and fit perfectly for our Sam’s Club sized laundry detergent. Our new guest bed arrived! 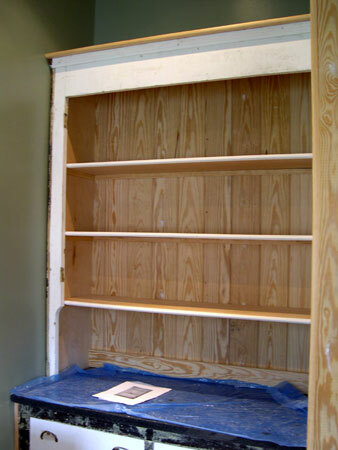 …building shelves for the medicine cabinet. 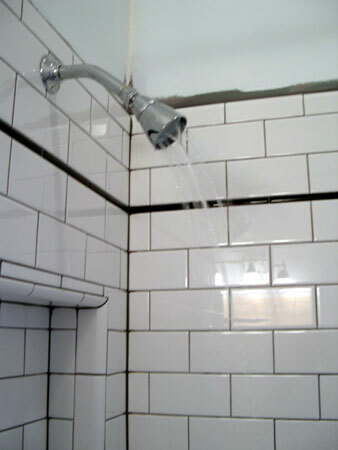 …tearing out part of the bath built-in to access the plumber’s screw-up and pulling back the faucets so that they don’t stick out. 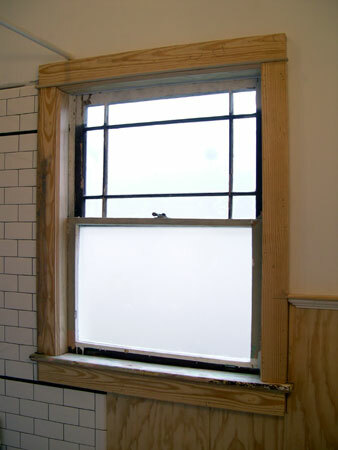 …making the bathroom window even (one part was higher than the other due to the Durock). 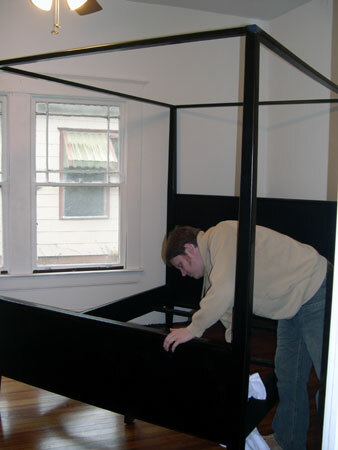 …building shelves for the kitchen built-in. 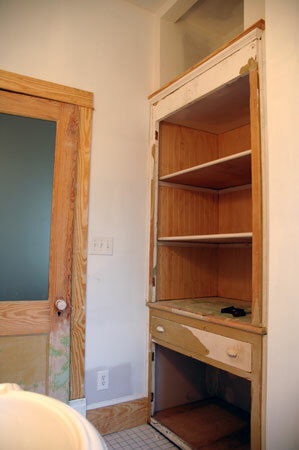 …we were busy priming the kitchen built-in.